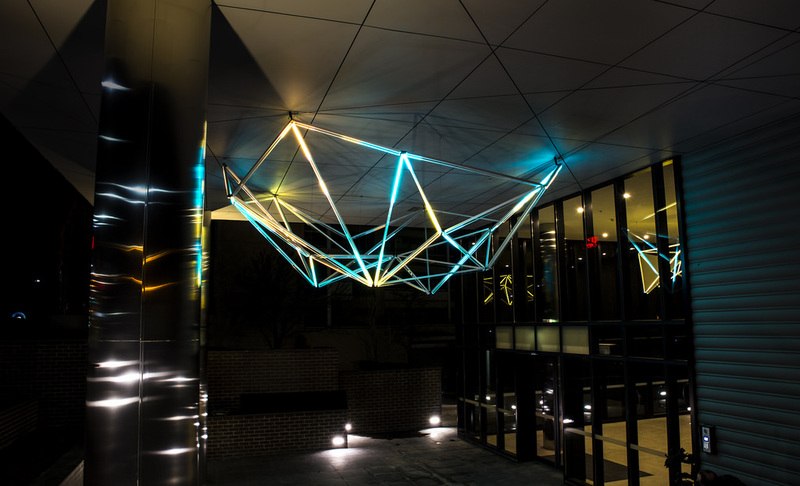 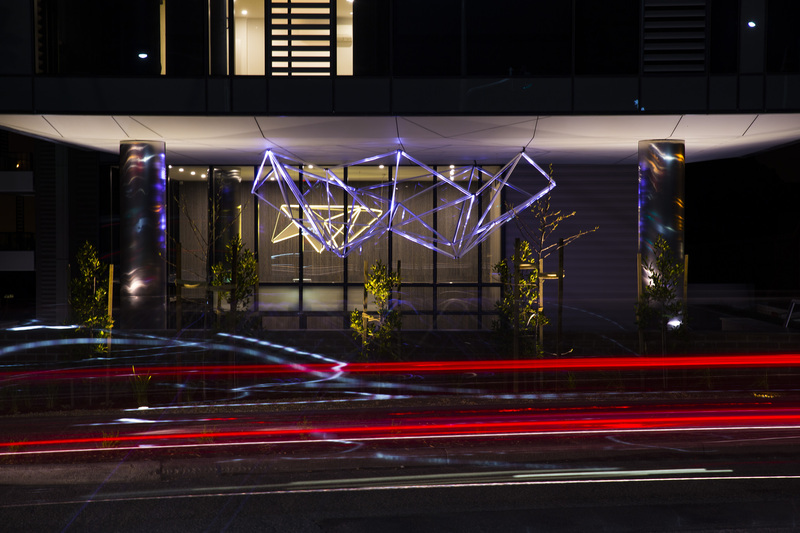 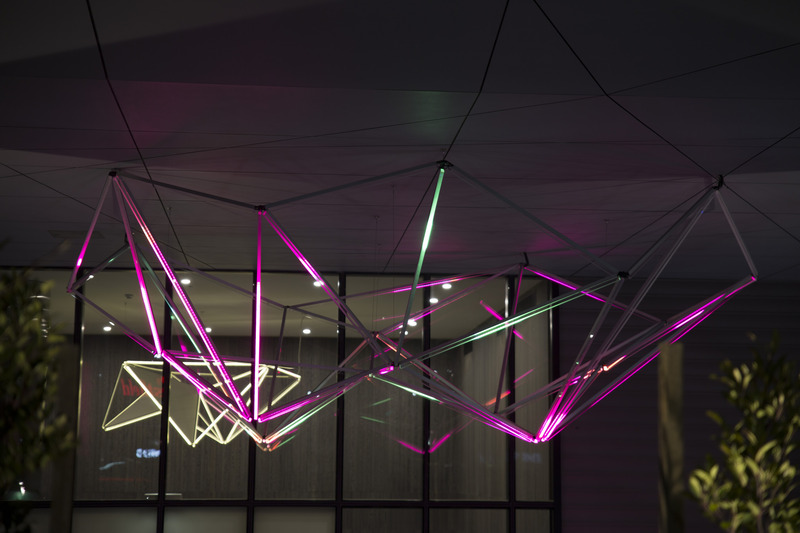 Symbiotica is a geometric light sculpture expressing a symbiosis of ecology and technology, with connotations of both natural abode and high-tech home developed for the Imperial Doncaster apartment complex in Melbourne. 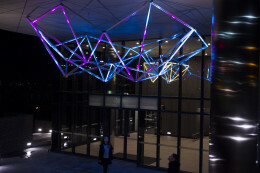 Illuminated by full-colour mapped LED pixels which have been choreographed to systematically allow animations to flow across its contours, the sculpture mimics a living presence, welcoming the residents as they arrive home at night and providing a luminescent beacon for the community. 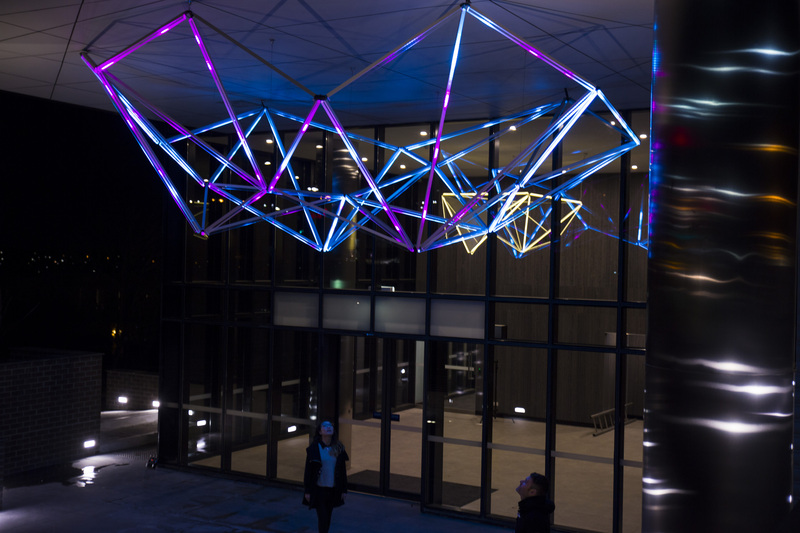 The pixels positioned throughout the sculpture are fully programmable, allowing the work to fluidly change appearance, daily and seasonally. 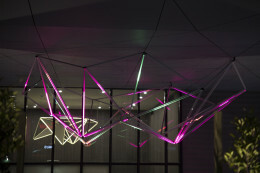 While highly technological in its construction and expression, its animated light movements flow sporadically and organically. 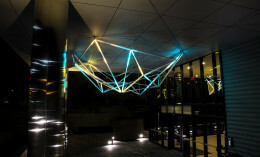 The deconstructivist geometric neural design and programmed illumination suggest visual references to an interconnected ecosystem, an abstract reflection of our networked existence. Symbiotica from Kit Webster on Vimeo.